The NESO Corporate Headquarters is located at Abuja and is responsible for coordinating all the activities of System Operations and is presently headed by the Executive Director (System Operations). The National Control Centre (NCC), Osogbo is responsible for all TCN Grid Operations, Monitoring and Control within the Transmission network. It is equipped with state of the art Supervisory Control and Data Acquisition (SCADA)/ Energy Management System, Tele-control Interfaces, Human Machine Interfaces, Communication Equipment, System Planning tools etc. 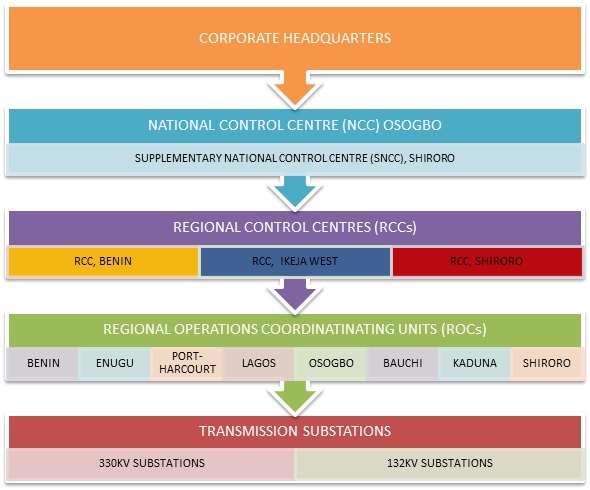 Functionally, NCC supervises all the Regional Control Centres in the grid network. The National Control Centre is headed by the GM (NCC). The Regional Control Centre (RCC), Benin is responsible for monitoring grid operations in the 330kV and 132kV Transmission network under the Regional Operations Coordinating Units (ROC) Benin. ROC, Benin reports functionally and administratively to RCC, Benin. The Regional Control Centre (RCC), Ikeja West is responsible for monitoring grid operations in the 330kV and 132kV Transmission network under the Regional Operations Coordinating Units (ROC) Lagos. ROC, Lagos reports functionally and administratively to RCC, Ikeja West. 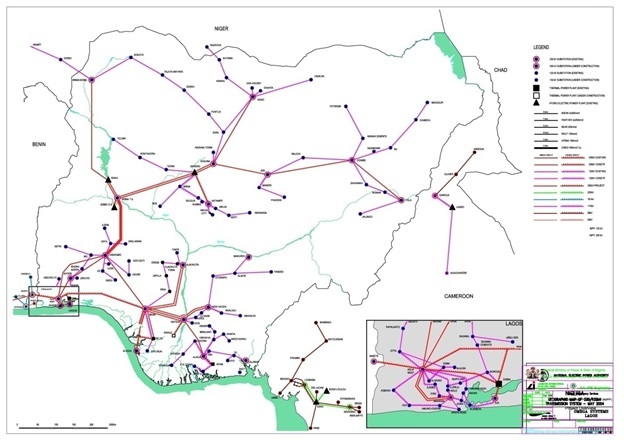 With the increase in 132kV Transmission Substations in the transmission network plans are already underway for three additional Regional Control Centres at Alaoji, Gombe and Kano.